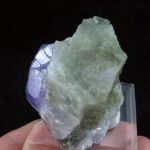 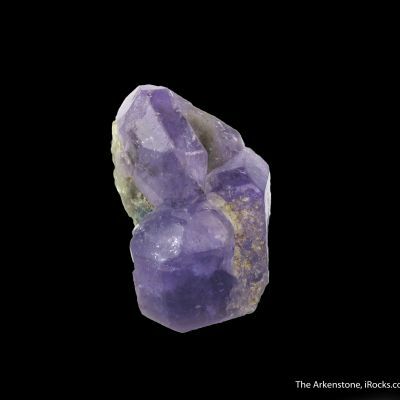 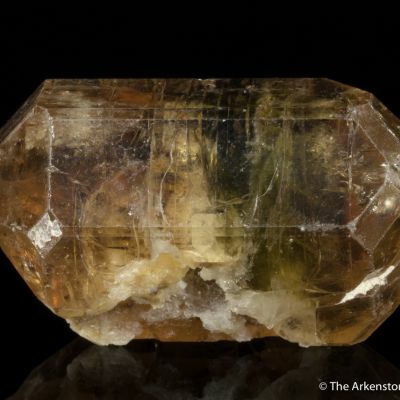 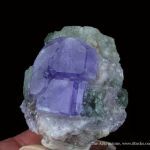 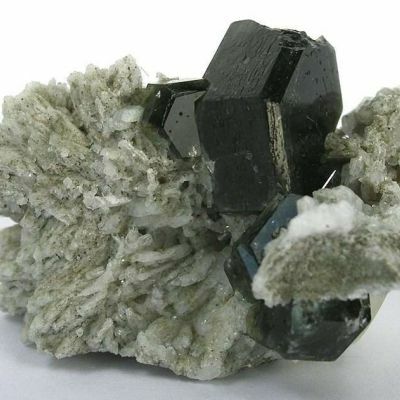 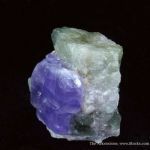 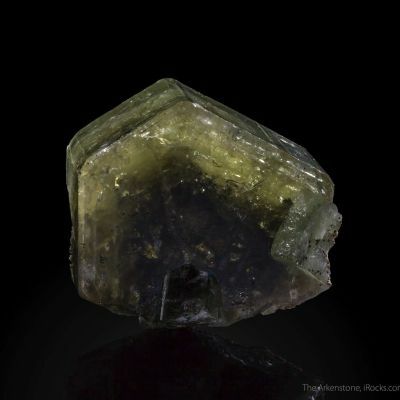 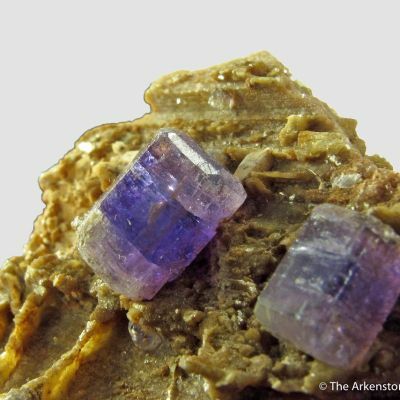 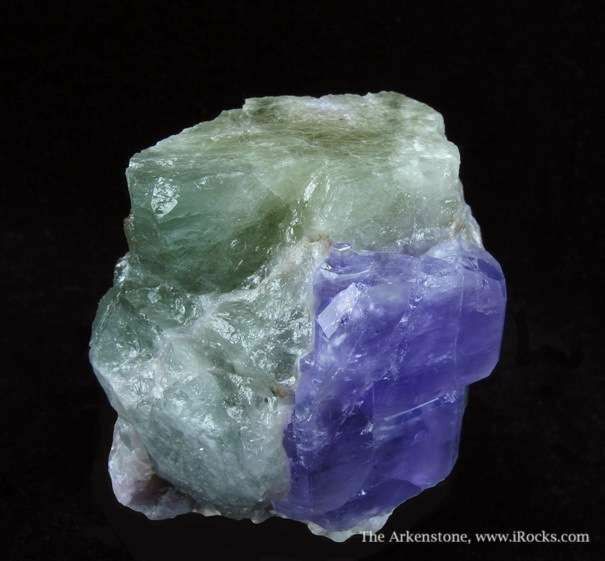 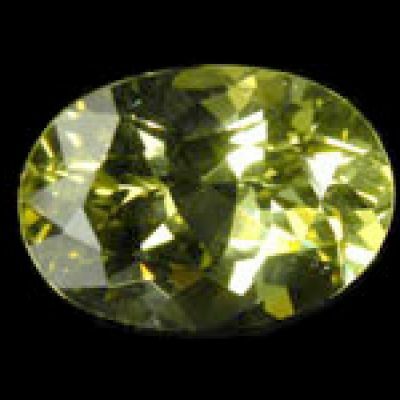 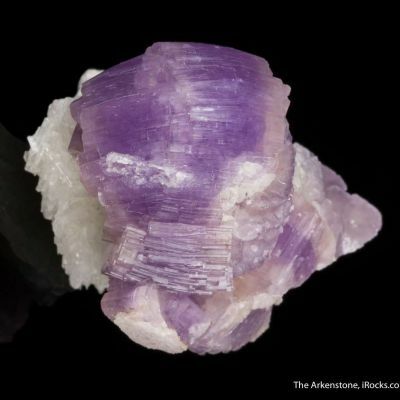 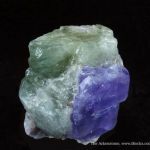 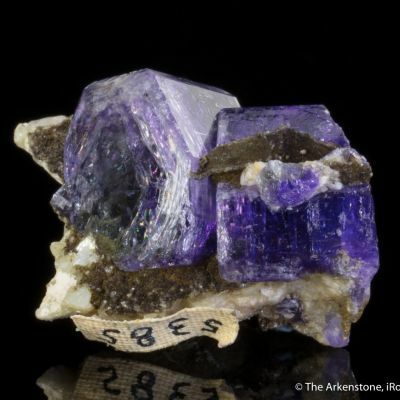 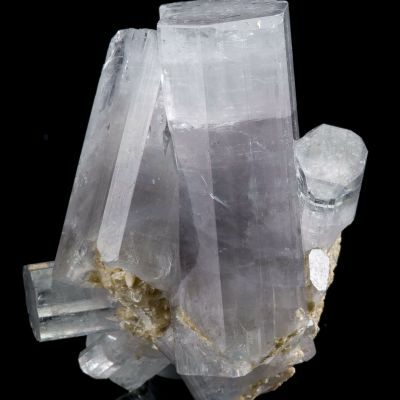 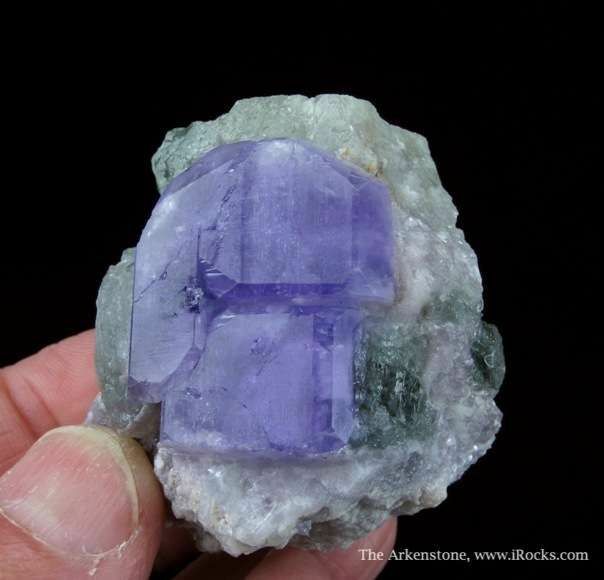 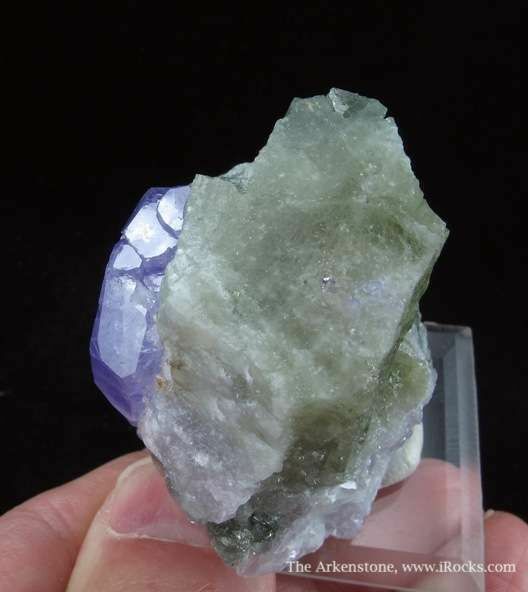 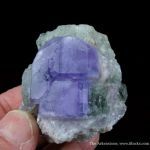 Apatites with the famous 'Pulsifer purple' saturation are always coveted, and this large 2.4 cm crystal has just that color. 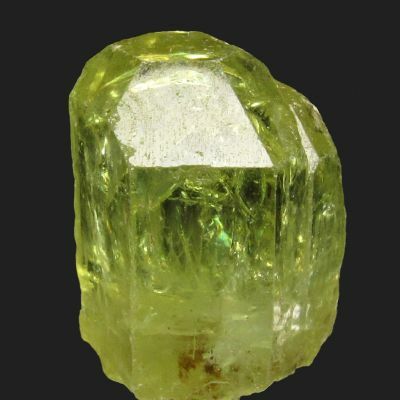 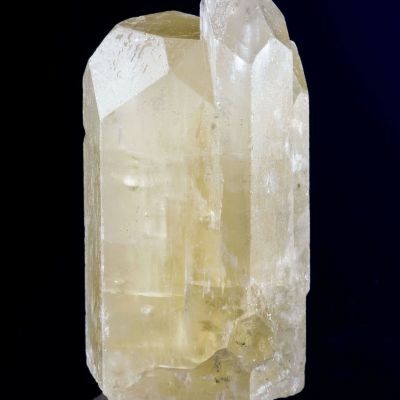 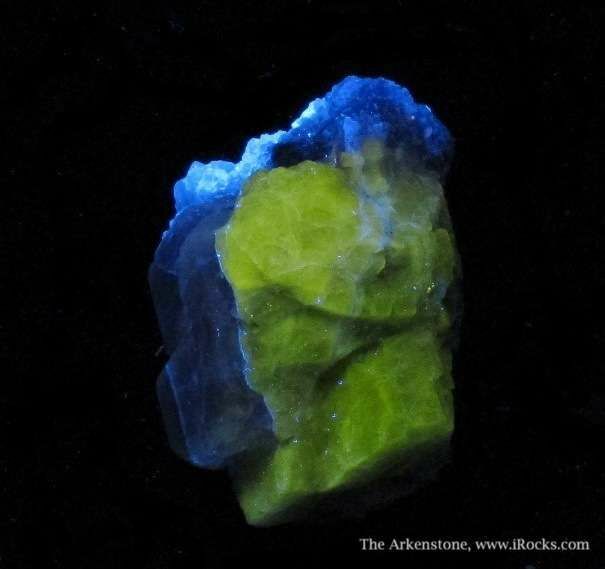 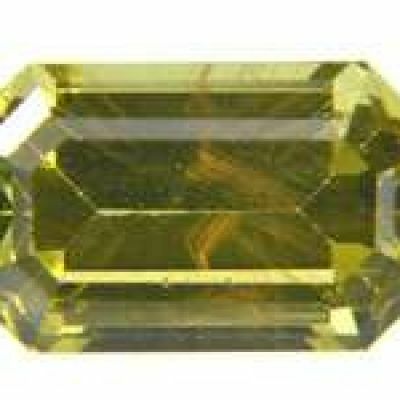 It has very good luster, and it lies flat on a matrix of fluorescent blue Apatite, possibly also with some Beryl. 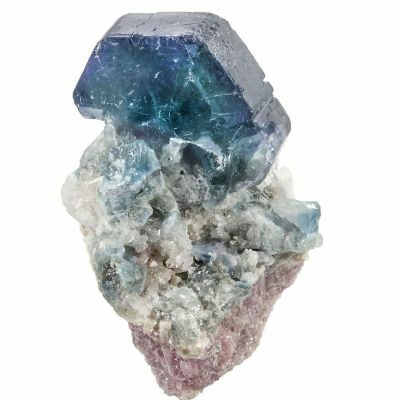 An excellent combination piece from Pech that showcases the intense purple apatite, front and center. 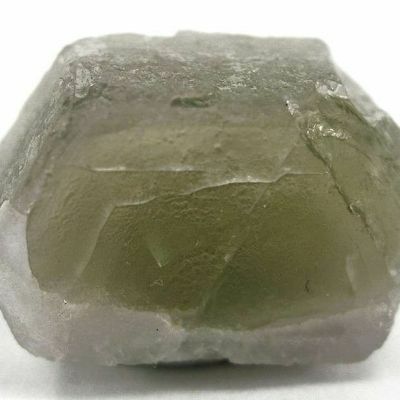 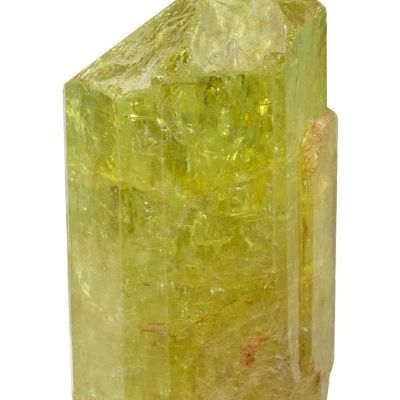 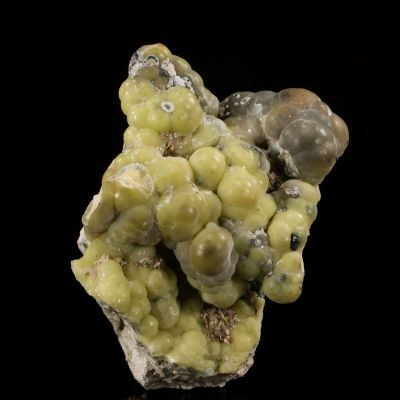 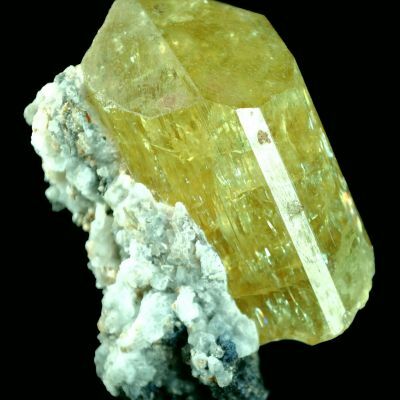 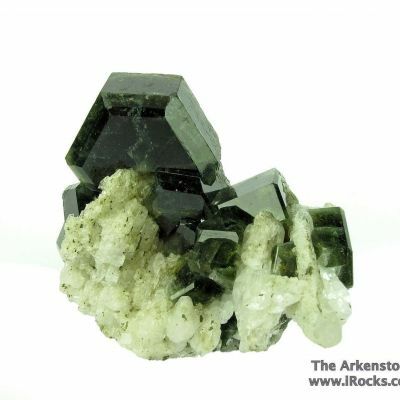 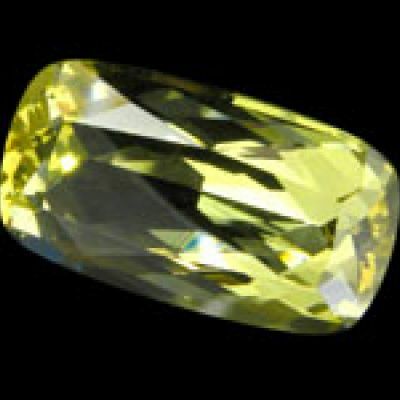 Apatite of this color saturation is really only seen in a handful of specimens, around the world, despite the abundance of apatite at so many localities.